The driver left the scene, FHP troopers said. PINELLAS COUNTY – A driver was cited after hitting a toll worker on the Sunshine Skyway and fleeing the scene, the Florida Highway Patrol said. The toll worker, Elaine Wyman, 80, of Palm Harbor, was taken to St. Anthony’s Hospital with minor injuries. Brittnie Ann Kenyon, 26, of Cape Coral, was cited for Driving While License Suspended and Failure to Provide Information. The crash happened about 1:05 p.m. Sunday (Jan. 20) on southbound I-275 at the Skyway Toll Plaza in Pinellas County. 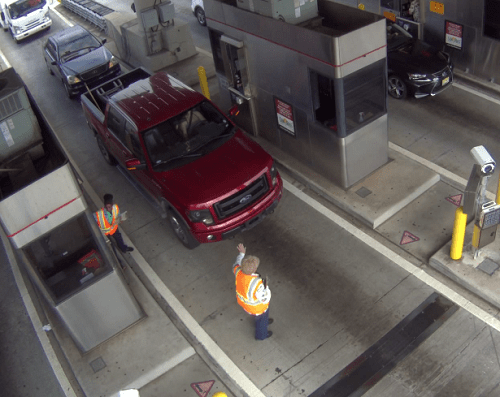 Troopers said Kenyon was driving a 2013 Ford pickup in Lane 3 at the toll plaza when toll workers told her to stop so another toll worker could cross the lane in the crosswalk. Kenyon failed to remain stopped and hit Wyman, who fell to the ground. Kenyon initially stopped, then fled the scene. Troopers later found her and cited her.